Charles Gay, Roland Staud, and colleagues, University of Florida college of Medicine, Gainesville, studied the association between fatigue and altered resting-state connectivity in patients with myalgicencephalomyelitis/chronic fatigue syndrome using functional magnetic resonance imaging. The researchers used two methods: comparing data on resting-state brain networks; and analyzing cerebral blood flow in selected brain regions. This research was supported by National Institutes of Health (NIH) grant R01 NR014049-01, NIH/NCATS Clinical and Translational Science grant UL1 TR000064, and NIH training grant F32A T007729. 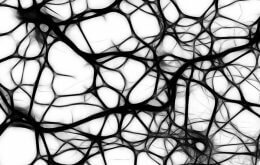 Brain Connectivity is the essential peer-reviewed journal covering groundbreaking findings in the rapidly advancing field of connectivity research at the systems and network levels. Published 10 times per year in print and online, the Journal is under the leadership of Founding and Co-Editors-in-Chief Christopher Pawela, PhD, Assistant Professor, Medical College of Wisconsin, and Bharat Biswal, PhD, Chair of Biomedical Engineering, New Jersey Institute of Technology. It includes original peer-reviewed papers, review articles, point-counterpoint discussions on controversies in the field, and a product/technology review section. To ensure that scientific findings are rapidly disseminated, articles are published Instant Online within 72 hours of acceptance, with fully typeset, fast-track publication within 4 weeks. Tables of content and a sample issue may be viewed on the Brain Connectivity website. Mary Ann Liebert, Inc., publishers is a privately held, fully integrated media company known for establishing authoritative medical and biomedical peer-reviewed journals, including Journal of Neurotrauma and Therapeutic Hypothermia and Temperature Management. Its biotechnology trade magazine, Genetic Engineering & Biotechnology News (GEN), was the first in its field and is today the industry’s most widely read publication worldwide. A complete list of the firm’s 80 journals, newsmagazines, and books is available on the Mary Ann Liebert, Inc., publishers website.